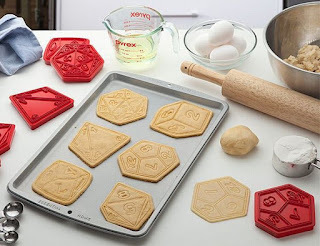 Over on geeksaresexy.net, check out the "Critical Hit Cookie Cutters" here. Also, on thinkgeek.com, have a look at the "Squishy 7pc Polyhedral Dice Set" here. 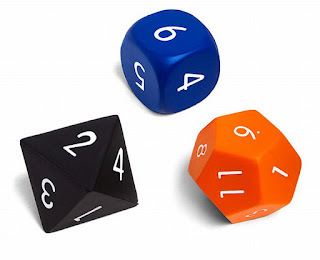 Finally, on thefoamcave.com, you can get all sorts of ideas and help making foam costume pieces here. not covered elsewhere or wanting a particular focus. Nostalgia Thursday - HPB Finds Cont.